We are back with our popular quarterly networking event! We will be gathering many industry professionals under one roof, including representatives from VC firms, crowdfunding platforms, BA networks, accelerators, and other financial institutions and service providers. 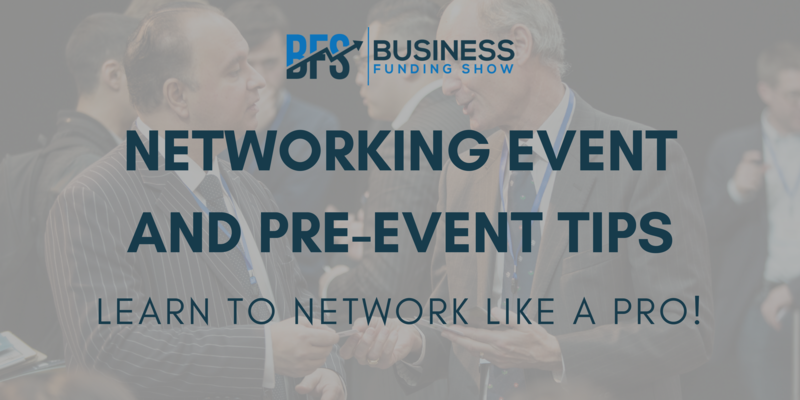 No matter what stage your business is at, and what you are looking for, at our networking event you will be able to make the connections you need to grow your business. The attending companies include: Crowd for Angels, Syndicate Room, Microsoft ScaleUp, Crowdcube, RIFT R&D Tax Credits, Edge Investments, ScaleUp Group, Market Invoice, Envestors, Seedrs, Funding London, Startup Direct, Calculus Capital, Nesta, State Zero, Q Ventures, Sancus, Spotcap, Startup Funding Club, Octopus Ventures & Starling Bank. There will also be a talk from Anne Boden, founder of Starling Bank, who will join as a guest speaker! We have previously written an article about Anne and Starling bank, which you can read here. As one of the top-dogs of the fintech industry, Anne is truly a woman to look up to, and she is sure to inspire many of you at the event! Of course, you will also have a chance to network with her, which is an opportunity not to be missed – especially for those of you interested/operating in fintech. We know that networking can sometimes be difficult, but you should never underestimate the power that it holds. Making direct, face-to-face connections with people in the real world is still the most vital thing you can do in business. Networking shouldn’t be a chore; it should be exciting, fun and rewarding. After all, some of the people in the room will probably share your passions and goals, and once you find them, connecting with them should be easy. 1. Think about the extended network. Every person in the room will have their personal/company networks, which they might have built up over many, many years. Think about the potential this holds – if you can tap into this potential, there’s no telling where that next client/job/funding will come from! It all starts with a simple exchange of information. If you are able to build up a rapport with someone, a business opportunity just might present itself – if not straight away, then perhaps later. 2. Think about how you can offer help. Instead of approaching networking with a self-serving objective, practice the mindset of ‘giving’. Remember that it goes two ways: just as you will count on others to help grow your business, they will count on the same from you. If you generously take the first step, they will certainly remember you and be grateful for it. Be genuine and don’t make it seem like you’re expecting something in return. You’d be surprised what benefits you can reap further down the line, if you are selflessly helpful to others – whether it’s offering to connect them with someone in your network, or offering your products or services. One way or another, this will reciprocate. 3. Research attendees. Preparing questions you would like to ask specific people beforehand can really help you to approach and give you more confidence in speaking to them (especially if they are high-profile individuals). Your questions can be more targeted, helping you learn more in the process. Doing a bit of research can also help you focus your networking efforts on people who are relevant to your career or industry. For example: what kind of funding is your company looking for? Research attending companies accordingly. 4. Be yourself and don’t over-pitch. Talk about your business in a casual way rather than trying to do the hard sell after only just meeting someone. Remember that networking is about building relationships, and lasting relationships are built between people who actually enjoy each other’s company. So be yourself, let your personality and your company’s ethos shine through. Of course, should a potential customer show interest in your product/service, be ready with an easy description or quick elevator pitch. 5. Remember to follow up. LinkedIn is your biggest friend here! It is an extremely useful tool in today’s day and age. The rule of thumb is to get in touch with your conversation partner within 48 hours after the event, in order to show you are interested and available. LinkedIn can then serve as a platform for future communications. If you use these five quick tips, you are sure to make the most out of our next networking event. See you next week, and don’t forget your business cards! The Networking Event is going to take place at 18:00 on the 21stof August at WeWork Moorgate. Click here for more info and tickets.